Starting perennial flowers from seed is no more difficult than any type of seed starting. True, they often take a year to become established and start blooming, but there are ways around that. And starting perennial flowers from seed is a great way to fill out your garden without breaking your budget. Here are 10 perennials that are easily grown from seed and some tips for starting each. 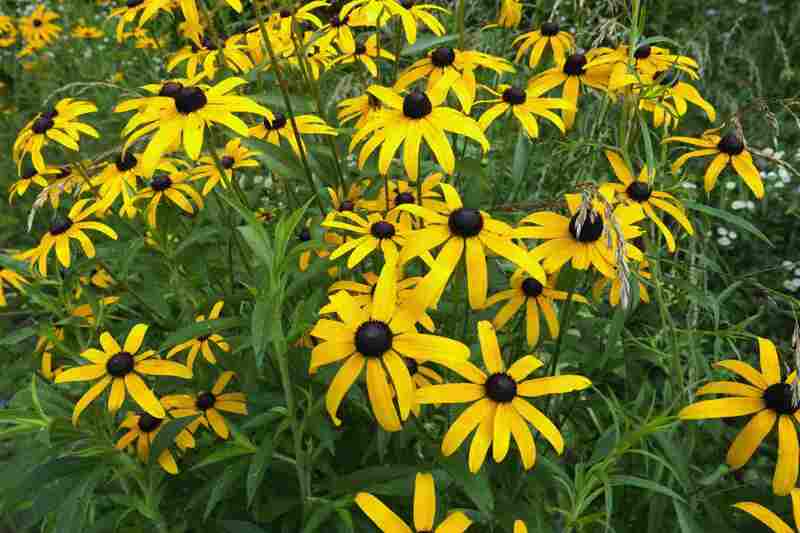 Not all Black-Eyed Susans are perennial and many of the perennial varieties will not grow true from seed, but there are some old-fashioned open-pollinated varieties to try. After all, Black-Eyed Susan is often considered a wildflower and some will naturalize on their own. Rudbeckia can be started indoors, from seed, about 6-8 weeks before last expected frost. Perennial varieties will germinate best if stratified after planting. You can do this by keeping them in the refrigerator or a similarly cold place for 4 weeks after planting. Then move them back to a warm spot (70ºF-72ºF) until seeds actually germinate. Rudbeckia can also be direct seeded in the garden once daytime temperatures remain around 60ºF. Of course, plants can be purchased and transplanted. Blanket flowers are another plant often considered a wildflower. Blanket flower seeds can be started indoors or direct sown in the garden. Warm climates can direct seed in fall, for spring blooms. Cold climates should direct seed in the spring. Barely cover the seeds with soil, whether planting indoors or out. Gaillardia is one of those plants that need exposure to light, to germinate. If you are broadcasting the seed over a wide area, you can simply rake it around and then water well, making sure it comes in good contact with the soil. The native North American columbine (Aquilegia formosa) will readily self-seed on its own. Many other varieties will also spread naturally, but they can cross-pollinate with other varieties and you may not get the flowers you'd hoped for. To start your own seed, plant indoors or out, but only press the seed into the soil. Columbine seed needs light, for good germination. Blue flax is often sold as part of a wildflower mixture, but you can find seeds of just Blue flax. Sow in mid to late spring or early fall. Fall sowings should bloom the following year. Cover with about 1/4" of soil and thin plants to 6" apart, once they are 1--2 inches tall. Lupine plants have a tap root and don't like being transplanted. Direct sow your seed in the garden. The good news is Lupines often bloom their first year. You will have better germination if you treat the seed, prior to planting. Either soak overnight in warm water, scarify the seed and soak for several hours or chill the seed for 7 days, prior to planting, by folding the seed in a damp paper towel, placing the towel in a plastic bag and then placing the bag in the refrigerator. Plant treated seeds in spring to early summer. You could also plant seeds in the fall and let nature chill them for you. Not all Dianthus are perennial. Some are biennial, but they will self-seed on their own and act like perennials. Dianthus seeds don't require much fuss. You can start them indoors, 6--8 weeks before your last frost date, and move them outside after danger of frost has passed. Since Dianthus can stand a little chill, you could even seed them in the garden, right around your last frost date. Barely cover with soil and keep the bed moist, until the seedlings emerge. Primrose seed can be started indoors or out. To sow primrose seed indoors, simply plant the seed about 1/8 inch deep and keep the soil mix moist. Start the seed 8–10 weeks before your last frost date and move outdoors, while the weather is still cool, but not frigid. Transplant into a shady spot. To start primrose seed outdoors, follow the same procedure, but be sure to sow during a cool season, leaving several weeks for the newly sprouted plants to grow, before the weather will become hot (80 degrees F.), so the young plants will have time to adjust. Red Hot Poker seeds can be a bit slow to germinate and are often started indoors. Speed things up by chilling them for 6 weeks prior to planting. Fold the seed in a damp paper towel, place the towel in a plastic bag and then place the bag in the refrigerator. After chilling, sow the seeds by barely covering them with soil. Keep the seed flats in a warm area (70--75 degrees F.) and then be patient. If can take 3 weeks to 3 months for the seeds to germinate. Be sure to keep them warm and moist the whole time. Shasta Daisy (Leucanthemum × superbum). Shasta daisies are super easy to start from seed. Indoors, sow them about 6--10 weeks before your last frost date. Outdoors, wait until all danger of frost has passed. Cover seed with about 1/8 inch of soil and keep the soil moist. Seeds should germinate within 10-20 days. That's it! Yarrow is also fairly easy going. To start seed indoors, sow the seed on the surface of damp soil and press it down. Yarrow likes heat and moisture. Placing the container inside a plastic bag will provide both. Be sure to allow for some air, so condensation can escape. You can also direct seed in the garden after any danger of frost has passed. Be sure to keep the soil moist. What Flowers Live the Longest?